Human-induced climate change and ecosystem degradation has led to a complex biodiversity crisis generating greater attention to the need for novel, science-based, ecological restoration strategies to foster resilience. One such innovative method that has captivated interdisciplinary audiences and experts in the field is the use of trophic rewilding, which is the introduction of species that can ‘reestablish’ trophic interactions and associated trophic cascades to promote self-regulating biodiverse ecosystems. These functions have been lost due to the global decline of species; especially large herbivores and carnivores. Trophic rewilding initiatives are being developed to restore ecosystem functions all over our planet. 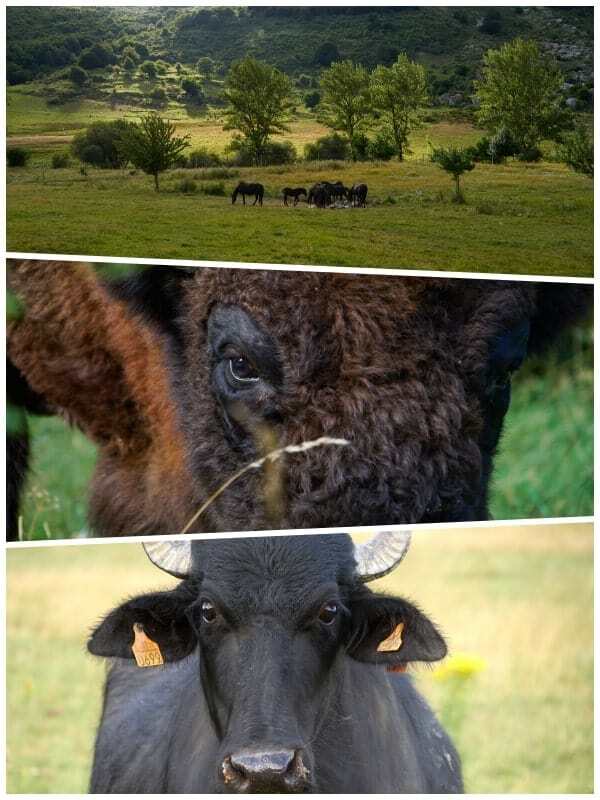 From the proactive conservation model demonstrated by the Iberá Rewilding Program in Argentina; to the improved functioning of the savanna from the reintroduction of megaherbivores in South Africa; and the reintroduction of bison and wild horses as keystone species in European ecosystems. In Europe the expansion of Eurasian beavers across wetlands has enabled ecologists and engineers to examine how to use the beaver’s innate restoration traits to improve biodiversity and many more projects focusing on the reintroduction of wildlife species, especially large herbivores are underway. To increase the likelihood of trophic rewilding being identified and recognized, i.e. becoming central to climate change agenda-setting, better communication concerning ecological restoration must be disseminated to governments, NGOs, businesses and the general public alike. A recent synthesis of to-date available research on trophic rewilding has demonstrated its potential to mitigate a multitude of climate change issues globally and especially in Europe, where many areas are deemed fitting for rewilding. The most substantial data from Europe, collected either explicitly from rewilding projects or from historical experience, largely consists of free ranging horses and bovids. Both of which have displayed the ability to act as a substitute for native species that have gone extinct and contribute to a positive effect on the biodiversity of Europe’s ecosystems. While historical experience cannot be systematically evaluated, new studies have shown that the positive potential effects large herbivores can have on biodiversity is in fact dependent on their density in specified grasslands. This density of large herbivores is a recurrent pattern throughout studies on trophic rewilding, especially pertaining to their direct and indirect interactions with climate change. In one example, the two remaining large herbivores in the Arctic [caribou and muskoxen] consume the thermophilic plant species and prevent woody encroachment. Indirectly, their foraging behavior even with warmer temperatures leads to a higher albedo and the consequent cooling effect; leading to recommendations for an increase in the density of large herbivores in the Arctic to reduce temperatures. Another example is the herbivore density in the Oostvaardersplassen (Netherlands), which caused severe overgrazing with cascading impacts on biodiversity and ecosystem resilience. A novel synthesis of the various ways that megafauna interact with the major drivers of climate change explains in detail how trophic rewilding can mitigate climate change by replacing ruminant livestock with non-ruminant wildlife to reduce greenhouse gas emission through a targeted methane reduction strategy; as historical grazers emitted significantly less methane into the biosphere due to their digestive physiology and diets. Larger grazers serve the double mitigation benefit of reducing wildfires; as they are more likely to consume the grasses and understory vegetation that increase both the likelihood and intensity of such fires. Thus, both species selection as well as density become important determinants in examining the potential positive impacts of trophic rewilding on an ecosystem. However, as with any synthesis of knowledge, data gaps and shortcomings are apparent in the emerging field; inclusive of project design and species selection, data collection for evaluation progress; as well as the evolving role that mankind continues to play. While that evolving role includes interactions with their respective ecosystems and their part in global trends [Figure 1], it also includes our unique ability as a species on this planet to increase our understanding of ecology and work towards filling in the necessary gaps in trophic wilding research. Urbanization, intensification of agriculture, rural abandonement. Loss of rural livelihoods and income. Loss of ecosystem functions and biodiversity. Increase in natural hazards, disasters and management costs. Attractive for recreation through refaunation. Nature-based rural economies (e.g. ecotourism). Natural processes lower and recover management costs. Resilient, self-sustaining ecosystems rich in biodiversity. Policy makers and scientists have a need to predict, quantify and monitor trophic rewilding and ecological restoration progress. Data measurement practices vary from site-to-site including the use of enclosures and or GPS collars to monitor active trophic rewilding sites. To synthesize the difficulty in evaluating current projects, a ‘rewilding scale’ was developed to assess the increase in the ‘naturalness’ of a specific ecosystem, as opposed to a target specific scale, in order to support restoration projects. Innovations like a rewilding scale may be beneficial when presenting trophic rewilding as both a process-oriented and sustainable solution for climate change and biodiversity loss to global audiences. The potential of large-scale trophic rewilding as a climate change mitigation policiy is at both a critical and exciting juncture. Thus, it is vital that additional research surrounding the opportunities from and obstacles facing trophic rewilding are pursued to ensure that scientists, policy makers, journalists, and individuals passionate about conservation are able to engage in current dialogue that leads to not only ecological restoration, but also improved economic and social resilience.